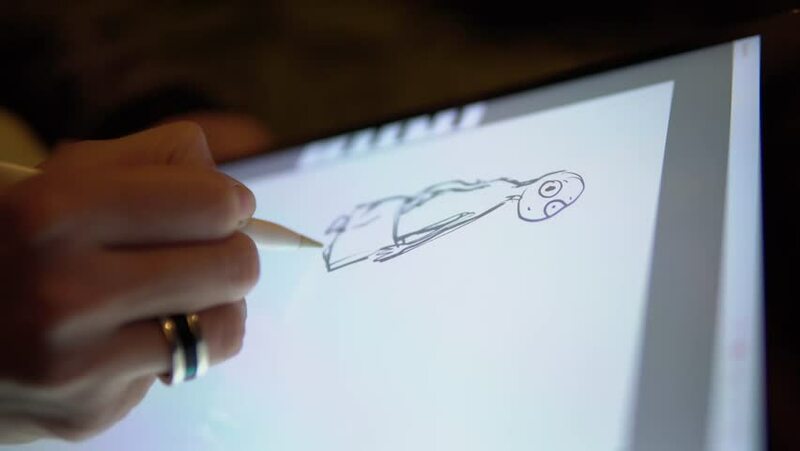 Draw a little man on the tablet with the stylus. Graphic tablet, Close-up of a drawing on a white background. hd00:16Businessman holding a wooden car on a table. 4k00:24Young female designer draws a sketch of the interior. Close up.